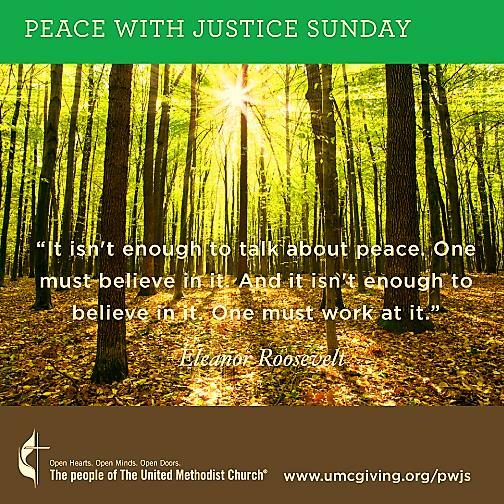 Peace with Justice Sunday – Today! 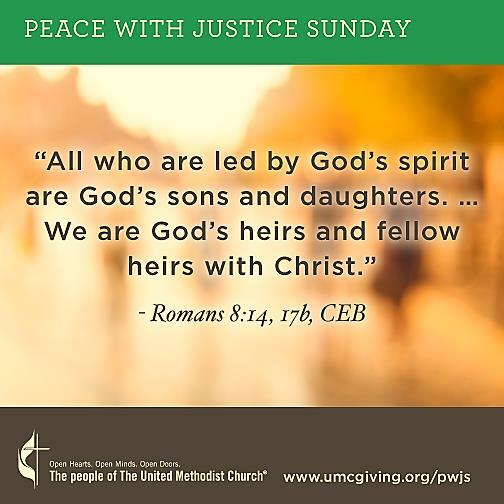 Today’s issue of the UMNS Daily Digest, produced by United Methodist News Service, contains the following article of interest on the Holy Spirit as we prepare for the arrival of Pentecost Sunday this weekend. While most United Methodists can articulate what they believe about Jesus and are reasonably comfortable talking about God, our confidence might waver when talking about the Holy Spirit. The symbols we use to talk about the Holy Spirit, on the other hand, are far less human. 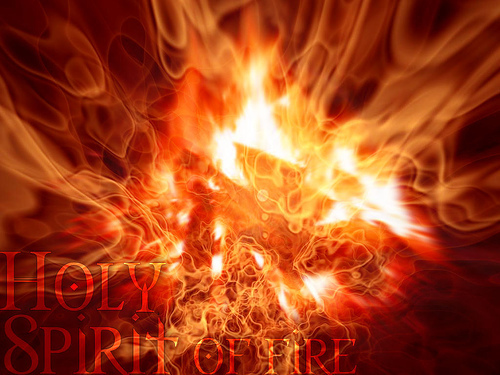 At Pentecost we read about the Spirit as fire and wind. In Baptism, we recognize the work of the Spirit through water and a dove. Not to mention the confusion caused by referring to the Spirit as the Holy Ghost. Additionally, cultural understandings talk of specific work attributed to the Spirit like ecstatic utterances and other highly emotive responses. While we do not discount those experiences, many of us have not had them and wonder about the Holy Spirit’s role in our lives. Hymn writer Charles Wesley, brother of John, wrote a song known to many United Methodist congregations even today. 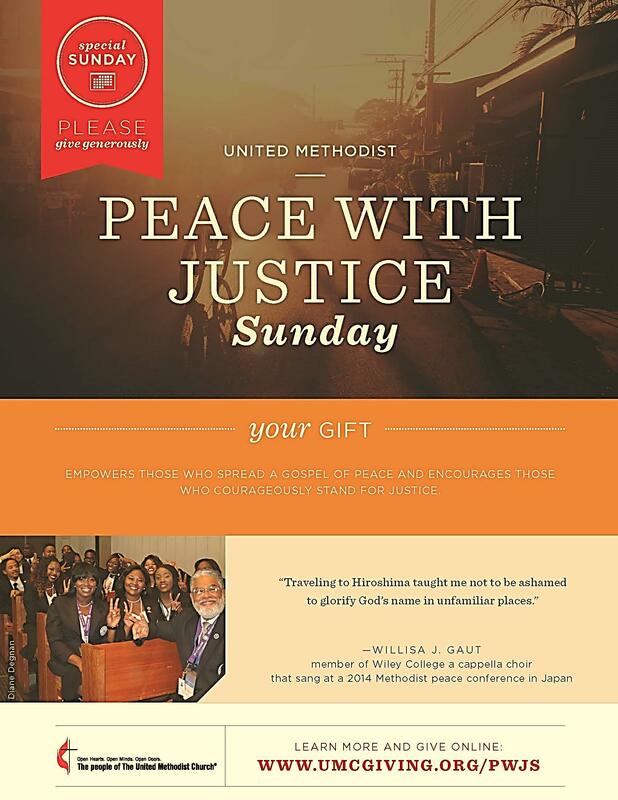 “Come, Holy Ghost, Our Hearts Inspire” (The United Methodist Hymnal 603) shares many of the same themes that help us better understand the gift of the Holy Spirit. 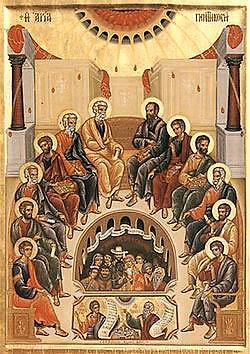 Pentecost, depicted in this icon, is the day the Church celebrates the gift of the Holy Spirit. Photo by МЕЛЕТИЙ ВЕЛЧЕВ, courtesy Wikimedia Commons. Wesley understood the Holy Spirit as the fullness of God at work in our broken world. While that process of reconciliation begins when we put our trust in Jesus, it will not be complete until the Day of Resurrection to come. The Holy Spirit is a harbinger of our future with us in the present. Every child of God is filled with the power of the Holy Spirit, specially gifted to play a unique and valued role in the body of Christ. From the earliest days of the Methodist movement, John Wesley sought to help Christians live faith in the midst of ordinary lives of family, friends, work, bills, and more. 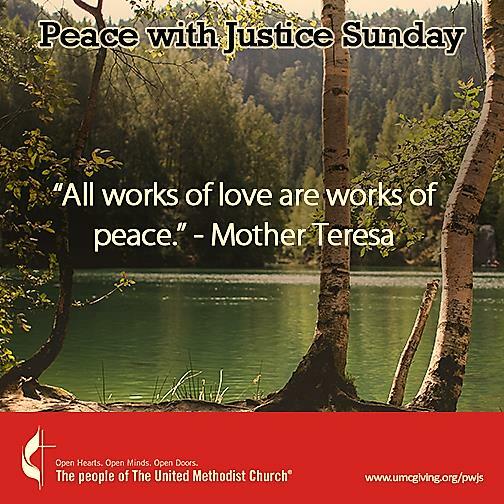 He encouraged the Methodists to participate in what he called the “means of grace,” which included acts of piety like worship and prayer, along with acts of service like feeding the hungry and giving to the poor. These acts are gifts strengthening us to live into the two-fold nature of discipleship: loving God and our neighbors. 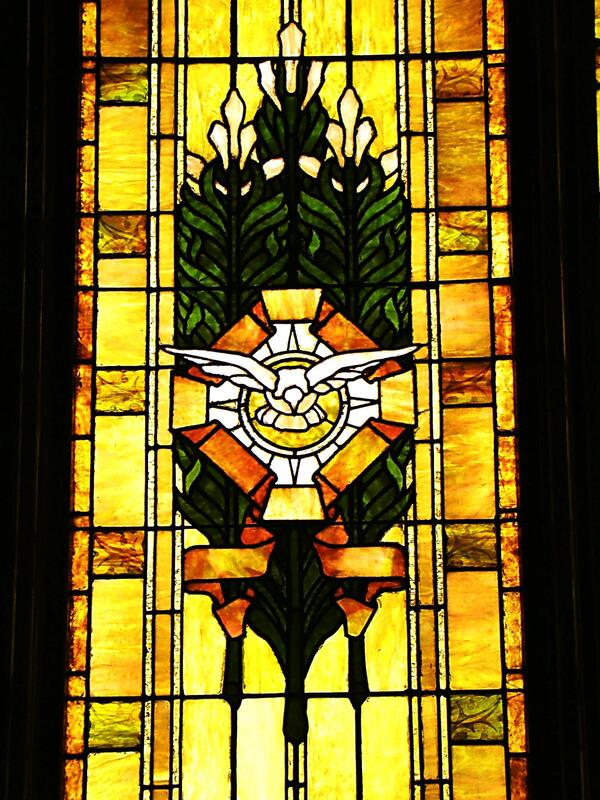 In his hymn, Charles invites the Holy Ghost to strengthen us to live our faith daily. source of the old prophetic fire, fountain of life and love. John Wesley often called himself a “man of one book.” That book, of course, was the Bible. In the second verse of “Come, Holy Ghost, Our Hearts Inspire,” Charles prayerfully asks the Holy Ghost to come to reveal God’s word to us. unlock the truth, thyself the key, unseal the sacred book. Having the Holy Spirit among us, a sign of that future day of restoration, also gives us the ability to live as people of that future now. Through the Spirit we see the world not only as it is, but as it will be, and are invited to participate in the work of reconciliation. When we sing verse 3 of Charles’ hymn, we pray for that day to come. Using an allusion to the presence of God’s Spirit moving over the face of the deep before the first day of Creation (see Genesis 1:2), we long for the new creation. on our disordered spirits move, and let there now be light. 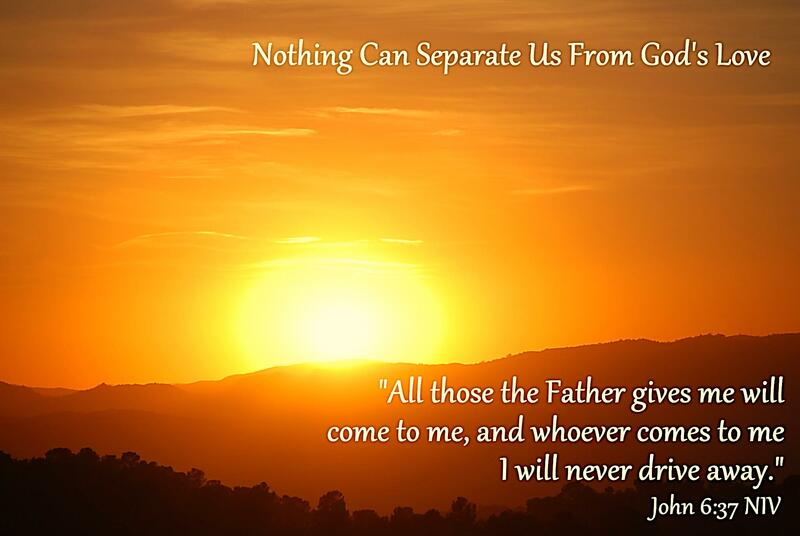 If you have ever wondered if you are really saved, you are not alone. Many Christians, including John Wesley, have gone through seasons of similar struggles. This sermon points to evidence in the gifts we see in our lives. In “On the Holy Spirit” we read, “[W]here that divine Guest enters, the laws of another world must be observed.” A shift the Spirit brings to our priorities is then described. Where we once were primarily concerned about ourselves, the Spirit enables us to focus on our love of God and others. In verse four of “Come, Holy Ghost, Our Hearts Inspire,” Charles Wesley writes how love flowing through us is evidence of the Spirit living in us. and sound, with all thy saints below, the depths of love divine. 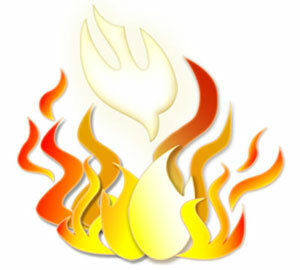 It may be difficult for some of us to articulate a relationship with one described as fire, water, wind, or a dove. What we need to know is that the Spirit is the presence of the Holy in and around us each day, enabling us to live into the people God created us to be and will be restored to one day. The Spirit is the presence of the Holy … enabling us to live as the people God created us to be. Learn more about the spiritual gifts described in the New Testament, and take an online assessment to help you discover and cultivate your gifts. The Lungi Airport in Sierra Leone is busy. Crisis responders from all over the world gather around the luggage carousel. Staff for non-governmental organizations — representing Ireland, Norway, United Kingdom, France, Iceland, China and the United States — are easily identified by their uniforms, luggage tags or dialects. As the many containers of medical supplies and equipment spill onto the conveyor belt, the responders seem prepared to saturate the country with their enthusiastic support, resources, knowledge and skills in an effort to finally contain the Ebola virus. With the easing of public health restrictions, Sierra Leoneans not only are weary of the virus but also are becoming more complacent in facing this formidable foe. While hand-washing stations are abundant throughout the capital city of Freetown, many simply ignore them. Public buses are packed beyond shoulder to shoulder, and those manning Ebola checkpoints in and out of the city often wave people through without a glance. All these factors allow the virus to maintain a stubborn grip on the health and psyche of a nation. Even though Liberia was recently declared Ebola-free, the virus is proving to be an unshakable foe in Sierra Leone. It was difficult to tally accurate statistics at the peak of the outbreak, but the World Health Organization reports that nearly 11,000 have died of Ebola in west Africa, and more than 26,000 were infected. Even now, Sierra Leone reports a few cases a day, but more districts than not seem to have broken the transmission chain that originally fueled the outbreak so virulently in the last quarter of 2014. More than 12,000 have contracted Ebola in Sierra Leone and nearly 4,000 have died. We were there when Ebola first took hold in Sierra Leone. At the end of May 2014, a United Methodist News Service team was covering the distribution of 400,000 insecticide treated bed nets through the church’s Imagine No Malaria ministry when we heard that Ebola had made its way to the far corner of the country. The news team and United Methodist Committee on Relief representatives headed for Kenema Government Hospital to confer with the government health team treating Ebola patients. We wanted to communicate the facts to the many United Methodist Church doctors and nurses who might come into contact with Ebola patients. That was 12 months ago. 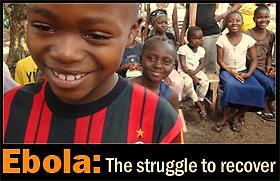 Since then, the world has witnessed the devastating effects of Ebola in West Africa. Thousands have died and the fallout has devastated the health, education, and economic sectors of Guinea, Liberia and Sierra Leone. From the beginning of the deadly outbreak, United Methodist leaders in West Africa have been on the frontlines. As the virus begins to show signs of retreating, it was time for United Methodist News Service to return to Sierra Leone to investigate how the church might be called upon in the coming years to rebuild all that has been lost during the outbreak. Despite all the effort that has gone into controlling the epidemic, across the street from the modern hotel that accommodates responders from the World Health Organization and the Centers for Disease Control, an entire neighborhood endures quarantine. The orange plastic fencing draping the area indicates that for 21 days no one inside the fence can legally leave and their health will be monitored for any sign of the virus. Over the last year, Bishop John K. Yambasu has witnessed the far-reaching repercussions of Ebola. The United Methodist bishop for Sierra Leone has lost parishioners and pastors to the virus. He has experienced the death of a beloved surgeon, the closing of United Methodist health clinics and schools. And, he has prayed with his countrymen as they struggled to earn a living as society ground to a halt. Yambasu steers the Religious Leaders Task Force on Ebola. Early in the outbreak, he directed training of all faith-based health institutions across the country. Nearly 300 attended the information sessions about the deadly virus. “We all came together, imams and pastors and trained in the area of basic prevention,” Yambasu says. It was this task force that pressured the government to declare Ebola a national health emergency and put into place more stringent controls. Throughout the unprecedented outbreak, the church has remained a trusted source of information. 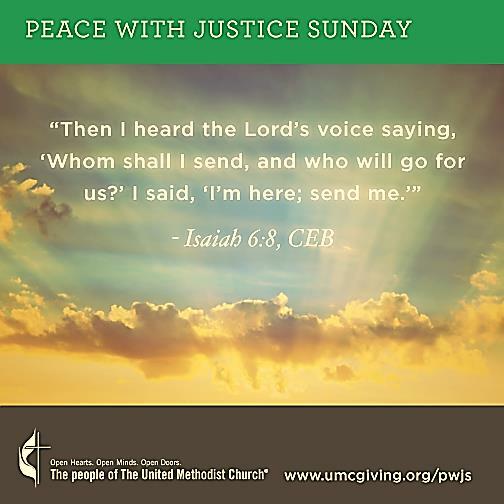 With the help of United Methodist Communications, Yambasu and Liberian Bishop John Innis have sent daily text messages of encouragement and information to their pastors. Early on, the messages helped to amplify the reality of the outbreak and empower faith leaders to guide their congregations through the crisis. Nearly 700 recipients received messages such as, “Ebola is real. It kills with little warning,” and “Don’t fix our eyes on Ebola but on God’s presence…God’s grace is eternal.” The agency also co-produced an award-winning animation, recorded in indigenous languages, to persuade cynics that the virus had become an undeniable reality in the region. To date, the United Methodist Board of Global Ministries has poured over $630,000 into the Ebola response in Liberia and Sierra Leone, as well as Côte d’Ivoire, where proximity to the two nations put the country at risk. “Most of our grants included multiple elements like purchase of medical supplies and feeding people in hospitals,” says Francesco Paganini, the manager of International Response. The mission agency, United Methodist Women and the United Methodist Board of Higher Education and Ministry individually contributed to education and prevention efforts, as well. 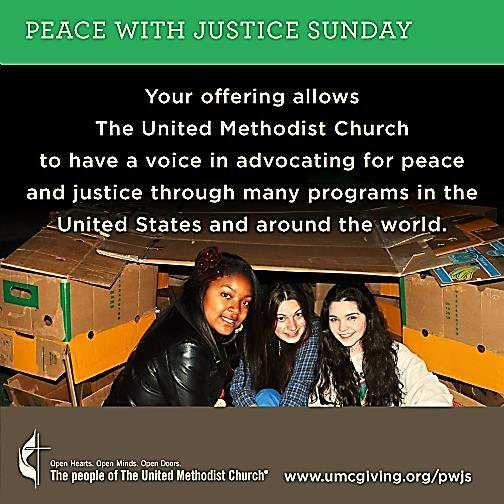 The United Methodist Women also distributed food to those quarantined and out of work because of Ebola. On the frontlines in the affected countries, local church leaders organized information campaigns and distributed medical equipment and resources. When large numbers of people were quarantined, the church delivered food and water to help ease the burden of total shutdown. Yambasu says it was sobering to witness the breakdown of nearly every social system in the country. “Ebola brought a lot of evil upon this nation but it opened our eyes to realities,” he says. When the outbreak first occurred, Sierra Leone had just a handful of ambulances. Yambasu explains that patients suffering from a variety of ailments, such as malaria or even high blood pressure, often were transported in the vehicles with those suffering from Ebola. Because of the toxic mix, ambulances were regarded as “death wagons.” In Kailahun, an area where whole families were wiped out by the virus, villagers rioted when an ambulance approached to pick up a patient. An influx of new ambulances, a change in procedures and an extensive government campaign is slowly convincing a skeptical society that ambulances are not to be feared. The United Methodist Church in Sierra Leone is facing tremendous challenges as a result of Ebola and conference leaders have formulated a Post-Ebola Recovery Response Strategic Plan. The two-year plan addresses the resuscitation and enhancement of all forms of outreach – including health, education and agriculture – while addressing demands created by the sheer numbers of Ebola orphans and widows. The 18-page report underscores the growing number of vulnerable people in an already overstressed country, especially those who have lost parents or spouses and have no means of support. In addition, the document acknowledges that without a functioning health care system, many chronic diseases have been left untreated, which has resulted in even more deaths and disability than are being reported. In addition to health care, the church operates more than 300 primary schools and 50 secondary schools. The United Methodist University, slated to open in 2016, will inaugurate curricula that will address food security and nutrition, nursing and evangelization. This recovery plan will serve as a framework for Sierra Leone Partners Conferences in Germany and Norway this month and in the United States in August. Re-Creation joined us on Sunday night, May 17, 2015 for a wonderful night filled with music and joyful worship. 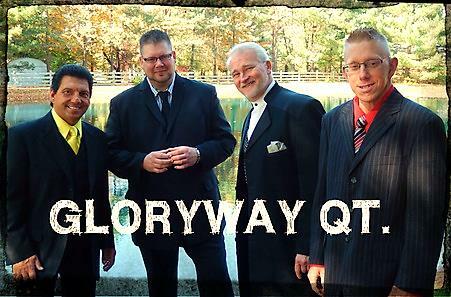 will be with the the Southern Gospel group, the GloryWay Quartet, featuring their beautiful four-part harmony at Central Church at 6:00 on Sunday, July 19. Mark your calendars and plan to join us for another wonderful evening of music in praise of our God. 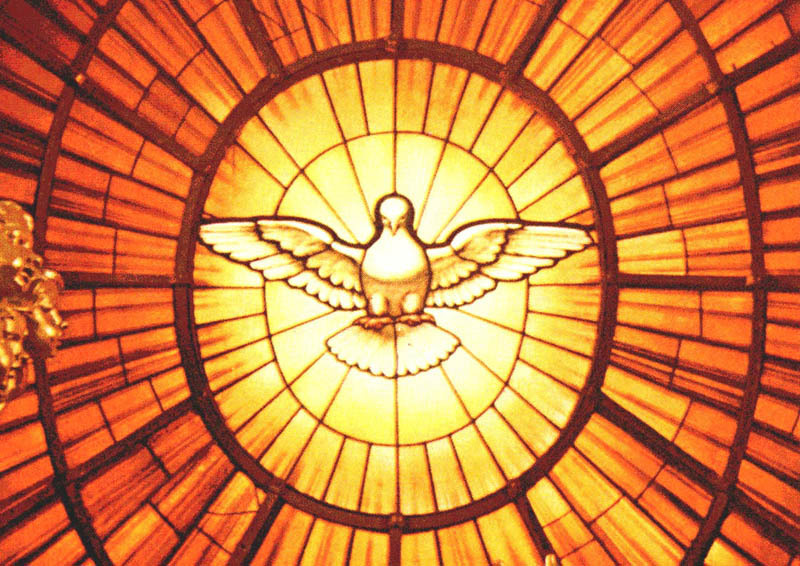 Pentecost also became a favorite time for baptisms with its focus on the work of the Holy Spirit within the church and within our lives. The holy day continues to be a wonderful celebrative time for rites of passage including baptism, confirmation and the reception of new members. 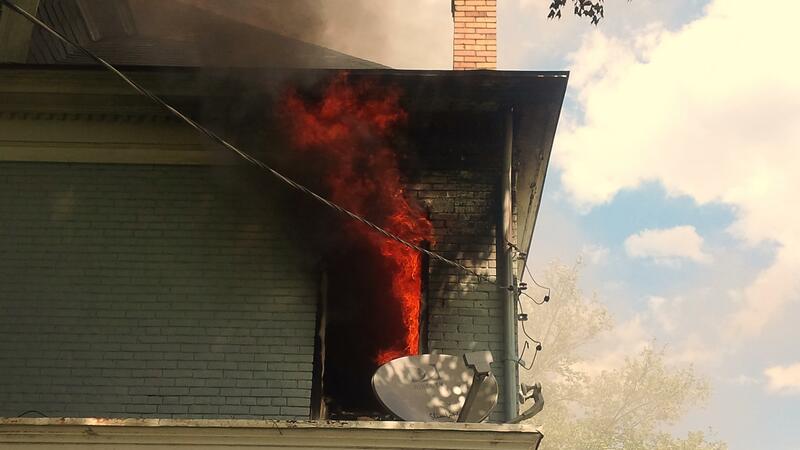 There was a significant fire at Central’s Parsonage this afternoon. 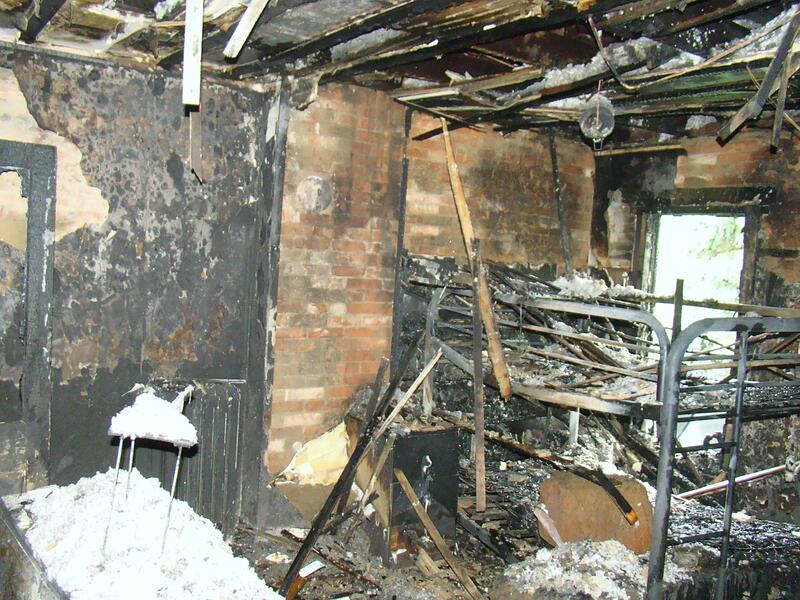 Our tenant’s 13-year-old grandson was playing with a lighter in one of the bedrooms and set the mattress alight. The 4-Alarm blaze brought in fire fighters from Beaver Falls, New Brighton, Patterson, and Big Beaver. Everyone escaped the building without injury, but the preliminary damage estimate to Central’s Parsonage is in excess of $80,000. We had a restoration company started on the work before the fire trucks departed late this afternoon, but the work will not be concluded until late this year at the earliest. Nevertheless, in the light of what could have happened, our prayers are prayers of Thanks to God today that no one was injured. In the late 1860s, before there was an official Mother’s Day holiday in the U.S., a Methodist mom organized “Mothers’ Friendship Day,” at which mothers gathered with former Union and Confederate soldiers to promote reconciliation. When Ann Jarvis was working to establish Mother’s Day as a national event, and when her daughter picked up the mantle from her, they were not thinking about greeting cards and flowers. Instead the Methodist women who invented the idea in America wanted to honor mothers in a deeper way. They were thinking about the work of women and the significant testimony that women could give about the need for peace. Ann Reeves Jarvis organized women’s clubs in the 1860s to serve suffering mothers and children. Women came together with their sisters in their locations to respond to the needs that they could see. For Ann, she was in a coal mining part of what is now West Virginia. And she could see the needs of women and children. And she could see the effect of the economy of her day on the people that she cared for most directly. She started mothers clubs. And she talked to them about hydration for fevered babies, about sanitation and nutrition. And then the Civil War came along and they put a field hospital right outside Grafton. Ann recruited nurses for military hospitals, and after the war formed friendship clubs to promote reconciliation. Ann Jarvis was convinced that mothers, women, but especially mothers, had to work for peace because they could see the ravages of war in their husbands and in their sons, in a way that was so focused and so clear that their voices would be powerful. And that’s what’s at the genesis of the current Mother’s Day. In May 1908, Anna Jarvis organized the first official Mother’s Day celebration at a Methodist church in Grafton, West Virginia. 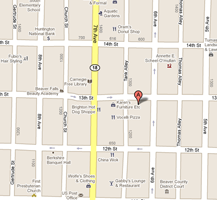 There was also a Mother’s Day event at one of Wanamaker’s retail stores in Phila00delphia on the same day. In 1914, President Woodrow Wilson signed a measure officially establishing the second Sunday in May as Mother’s Day in the USA. 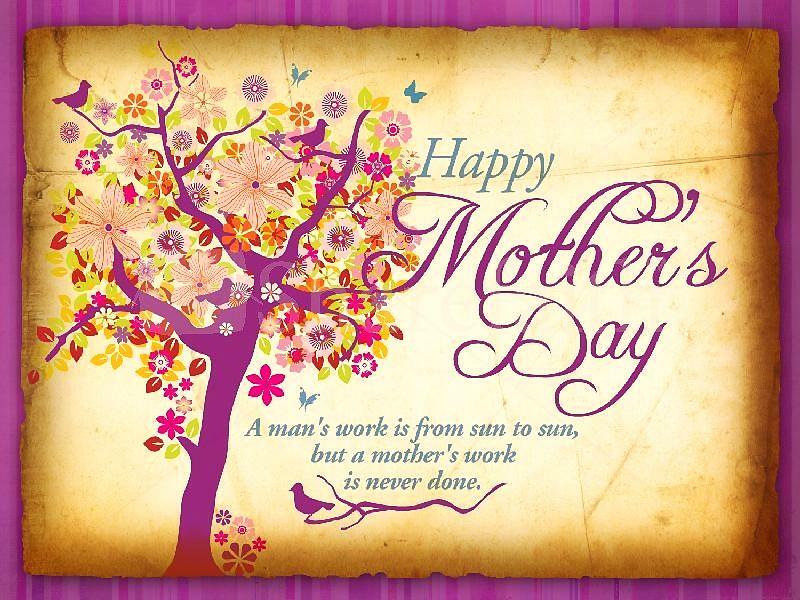 Others like Julia Ward Howe and Juliet Calhoun Blakely also advocated for a Mother’s Day type recognition in the U.S. in the late 19th century also. Mother’s Day is celebrated in a variety of countries. In Thailand, Mother’s Day is celebrated in August on the birthday of the current queen, Sirikit. In Ethiopia, families gather each fall to sing songs and eat a large feast as part of Antrosht, a multi-day celebration honoring motherhood. 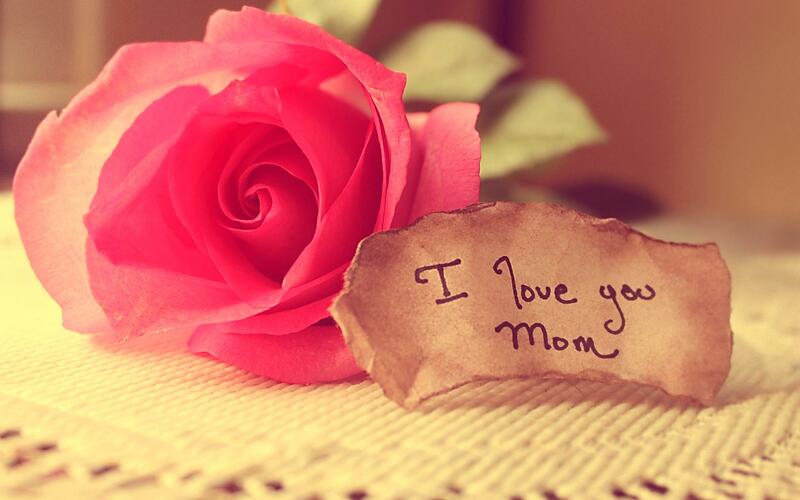 In the United States, Mother’s Day in 2015 will be celebrated on Sunday, May 10. Government workers remove a cross in Zhejiang city of Lishui on May 4. 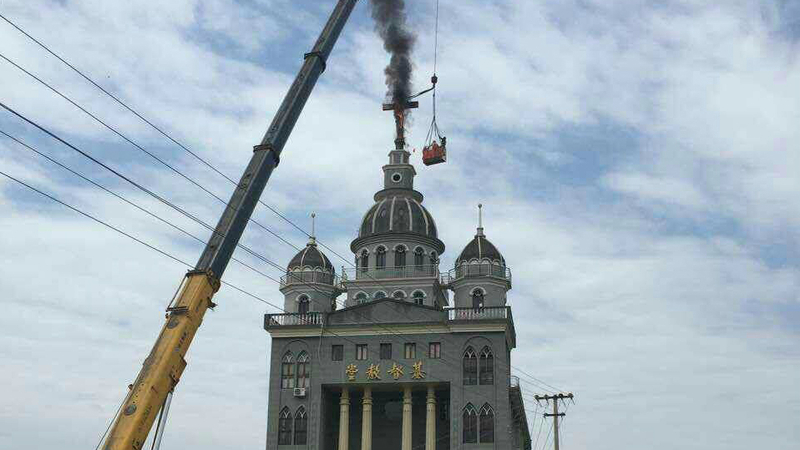 Christianity Today reported this morning that days after at least a dozen crosses were forcibly removed from churches, China formally protested a United States report on its lack of religious freedom. 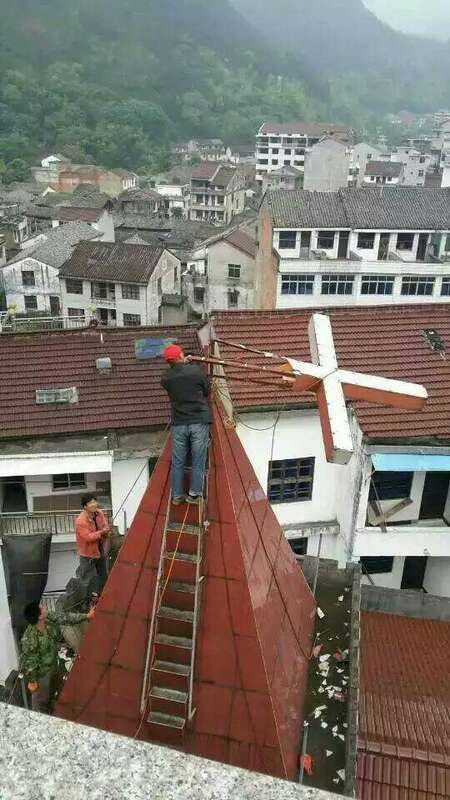 Now a proposal has surfaced to ban crosses entirely from the rooftops of churches in Zhejiang, one of China’s most Christian provinces. But stories of more removals continued to surface. The Chinese government now says it won’t stop the campaign until 2016, according to China Aid, which has closely tracked the “Three Rectifications and One Demolition” campaign. A draft of rules on religious structures released by government agencies this week says the crosses should be wholly affixed to a building facade and be no more than one-tenth of the facade’s height. The symbol also must fit with the facade and the surroundings, the proposal says. The draft does not provide the rationale for the proposal. “This report … is full of political bias and makes arbitrary and unfounded criticism of China,” foreign ministry spokeswoman Hua Chunying told news outlets in a daily briefing. She said that Chinese citizens had “ample” freedom religious freedom under law. 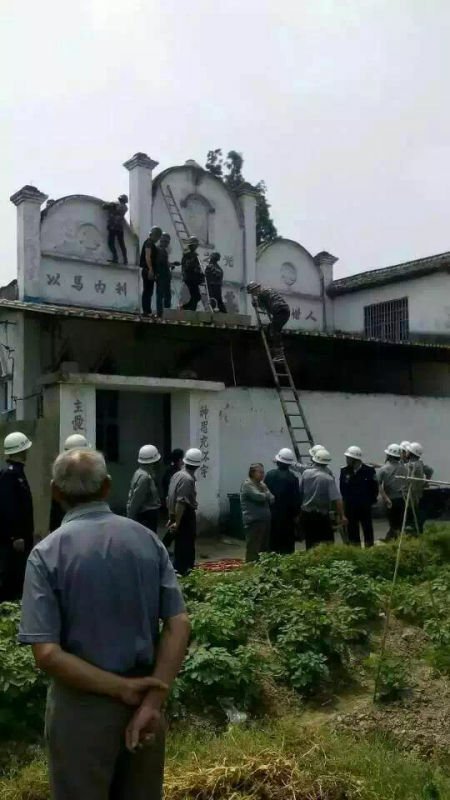 But USCIRF’s 2015 report noted that more than 400 Chinese churches in Zhejiang have had their crosses removed or torn down in the past year, and in some cases those who protested were arrested or imprisoned. The report also states that China designated some house churches “cults” and then issued a directive to “eradicate” them over the next 10 years. One example: more than 100 Christians were arrested during a single raid on a house church last year in Foshan City. “People of faith continue to face arrests, fines, denials of justice, lengthy prison sentences, and in some cases, the closing or bulldozing of places of worship,” the report stated. “Based on the alarming increase in systematic, egregious, and ongoing abuses, USCIRF again recommends China be designated a ‘country of particular concern.’” USCIRF recommended that China be relisted as a top offender, along with countries such as Myanmar and North Korea. Meanwhile, China Aid’s 2014 report, released last month, said that persecution in China increased 150 percent over the course of last year, with nearly 3,000 detained and close to 1,300 sentenced. 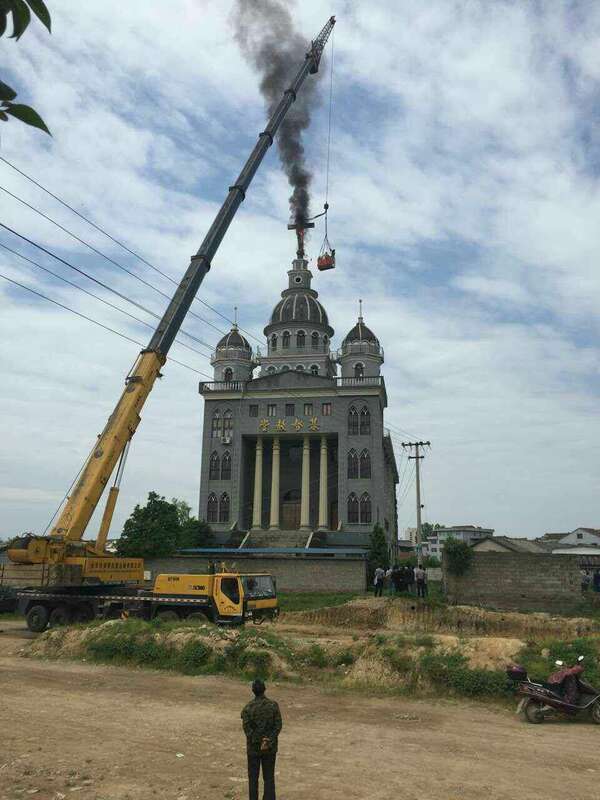 Please remember in prayer our Christian brothers and sisters and their Churches as they continue to be persecuted in Communist China. 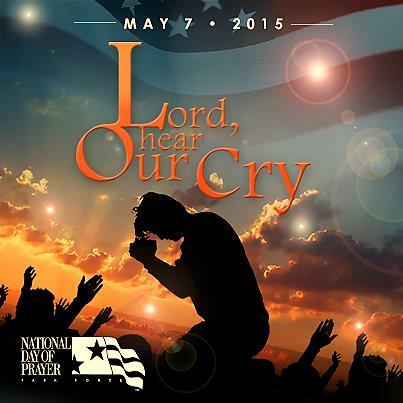 The 64th annual National Day of Prayer, May 7, 2015, will have profound significance for our country. It is an unprecedented opportunity to see the Lord’s healing and renewing power made manifest as citizens are called upon to humbly come before His throne. For the May 7th observances, Dr. Jack Graham, the 2015 Honorary Chairman, wrote a special prayer to be simultaneously read throughout the nation at noon (EDT). This recitation will create a huge wave of prayer, flowing from one coast to the other, illustrating the unity of God’s people and acknowledging His dominion over the circumstances facing us. Millions of people will gather to pray at thousands of events facilitated by volunteer coordinators and people just like you! At this crucial time for our nation, we can do nothing more important than pray. Please set aside time to participate in the National Day of Prayer this year, and may the Lord’s peace fill your heart as you rest in Him throughout the days ahead.